Talk radio host and celebrity werewolf Kitty Norville has agreed to appear on TV's first all-supernatural reality show. What she's expecting is cheesy competitions and manufactured drama starring shapeshifters, vampires, and psychics. But what begins as a publicity stunt is all too quickly turning into a fight for her life. 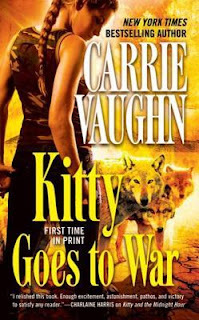 Kitty and her fellow housemates arrive at the remote mountain lodge where the show is set, but no sooner does filming start when violence erupts. It doesn't take Kitty long to suspect the show is nothing more than a cover for some nefarious plot. Then the cameras stop rolling, cast members start dying, and Kitty learns she and her monster housemates are not battling for a prize: they are, ironically enough, themselves the ultimate prize, in a very different game. Stranded with no power, no phones, and no way to know who can be trusted, she must find a way to defeat the evil closing in...before it kills them all. Kitty Norville, Alpha werewolf and host of The Midnight Hour, a radio call-in show, is contacted by a friend at the NIH's Center for the Study of Paranatural Biology. Three Army soldiers recently returned from the war in Afghanistan are being held at Ft. Carson in Colorado Springs. They're killer werewolves—and post traumatic stress has left them unable to control their shape-shifting and unable to interact with people. Kitty agrees to see them, hoping to help by bringing them into her pack. 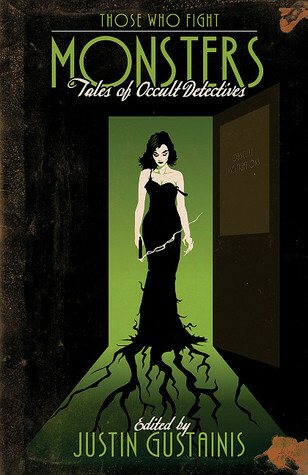 Those Who Fight Monsters: Tales of Occult Detectives, is your one-stop-shop for Urban Fantasy's finest anthology of the supernatural. 14 sleuths are gathered together for the first time in all-original tales of unusual cases which require services that go far beyond mere deduction! Meet our detectives, from these fine agencies. Jessi Hardin—from Carrie Vaughn's Kitty Norville series. Demons may lurk, werewolves may prowl, vampires may ride the wind. These are things that go "bump in the night," but we are the ones who "bump back!" Loved reading these books! I devoured the first almost half of the series, and then I read these 2 books and 1 story in one day, plus another book. Which shows just how fantastic these books were for me! House of Horrors, Kitty took a lot of hits. Because of all of these people that she'd been getting to know, and they were being killed while they were all trapped. So yeah, that wasn't an easy time. But she beat them, so that was great! Kitty Goes to War, was interesting. Because there was the guy suing her with all those supernatural happenings. And then there was the military werewolf group who needed rehabilitation. I really enjoyed how everything worked out! Loved Defining Shadows, and having Jessi's POV! The whole thing sounded a bit familiar, like it was in his short story while he was in prison. Maybe. But I should've read it before House of Horrors, because he gets out in that book. Oh, well! Loved reading it! This series is so fantastic, and I can't wait to read more of it! Reason Why: Love this series and her writing, and they're Prequel & Sequel Challenge 2016 Books! Kitty's House of Horrors has earned an award in my mind: best creepy scene involving a vampire. When the old vampire Anastasia incapacitates one of her victims and slowly, meticulously tortures him, my stomach rolled a bit. Not because of the graphic, bloody nature of the torture, but because of the emotional torture one would expect from a conniving creature such as a vampire. Well done!